Quarried stone like granite was used to an absurd degree in late Soviet facades; sometimes it feels like the whole town is covered in this dusty red rock. 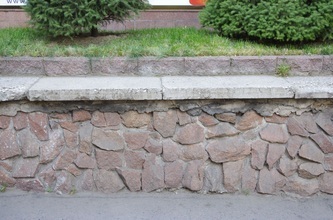 The granite was mostly cut from the ground in the town of Kordai, otherwise known for being home to Kazakhstan's busiest border crossing with Kyrgyzstan. 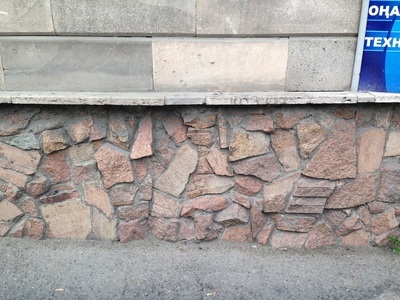 Unlike limestone, the granite was not cut into blocks but shipped wholesale as chunky boulders, then basically thrown onto external walls without much treatment. 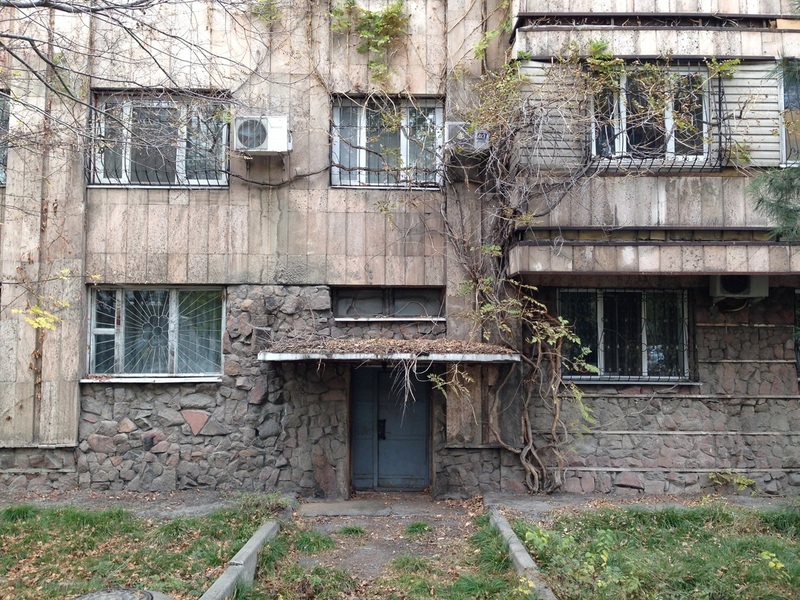 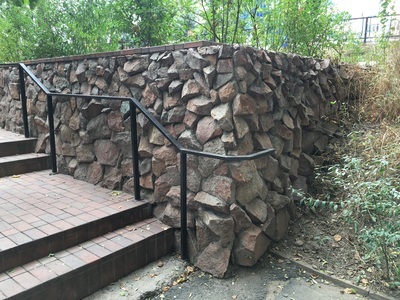 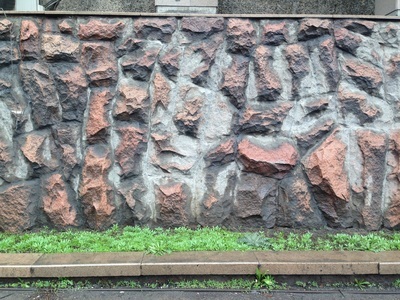 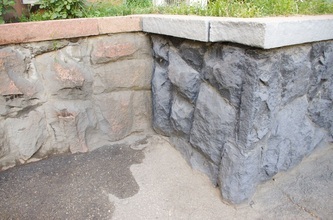 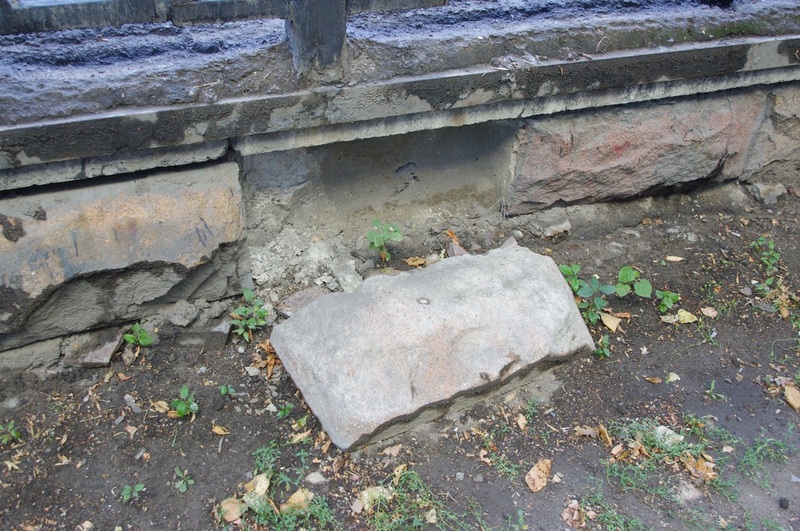 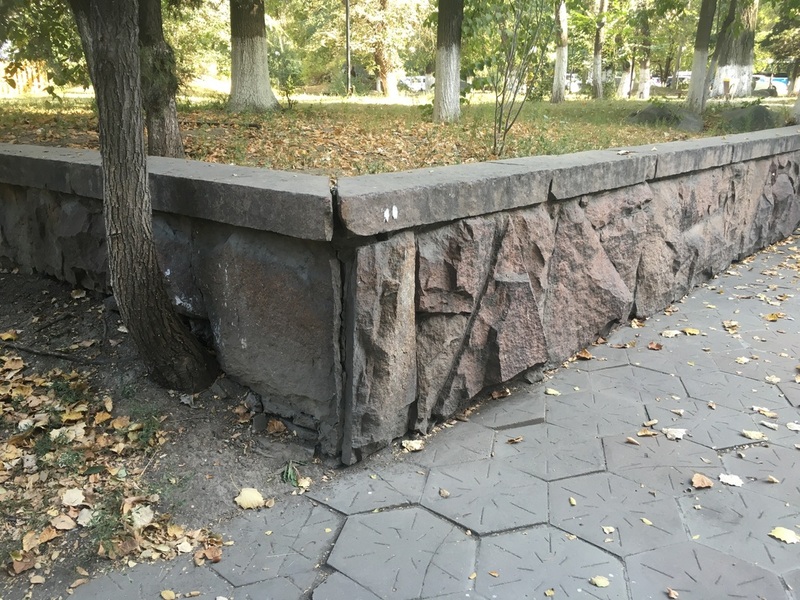 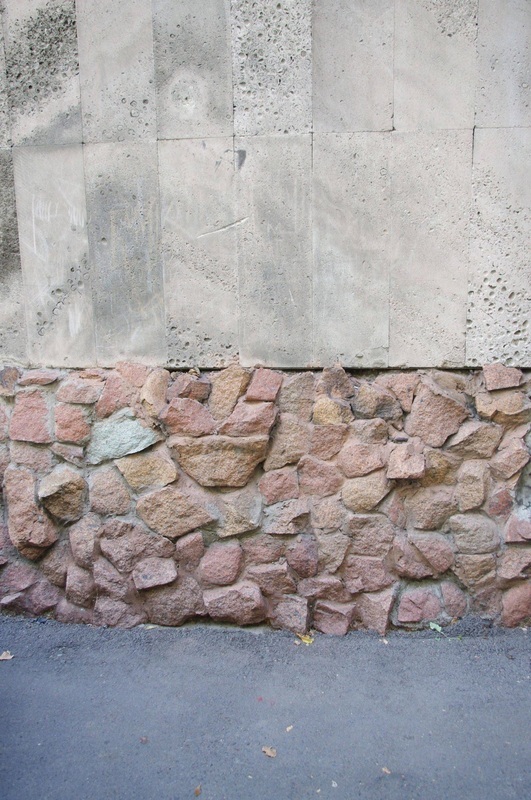 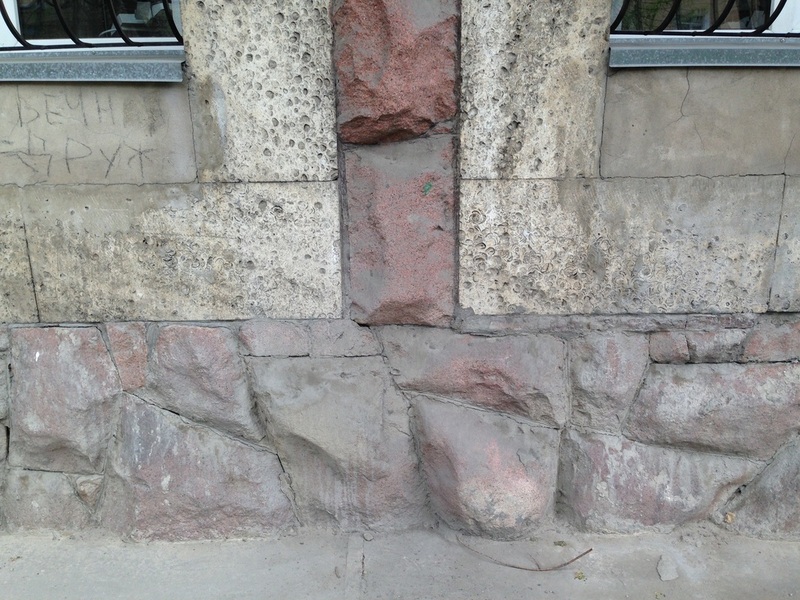 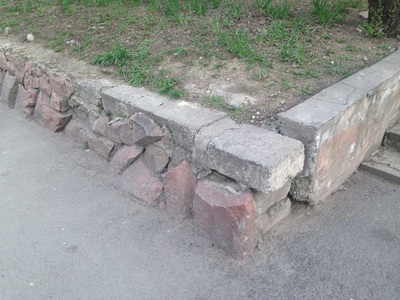 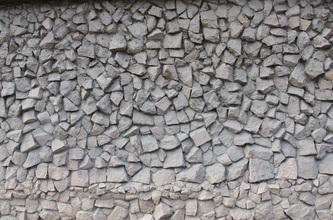 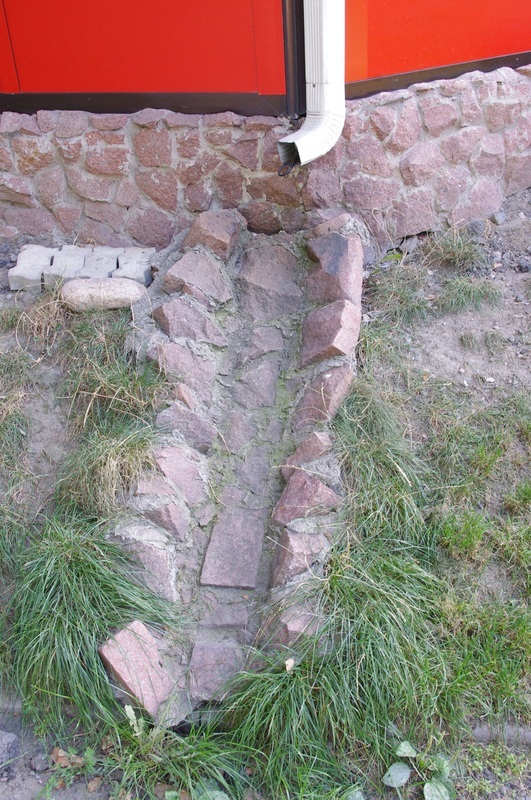 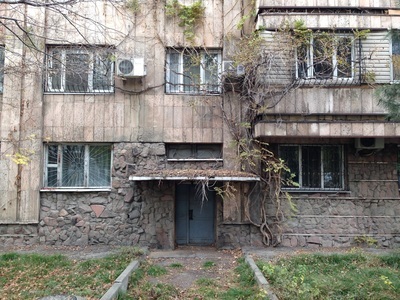 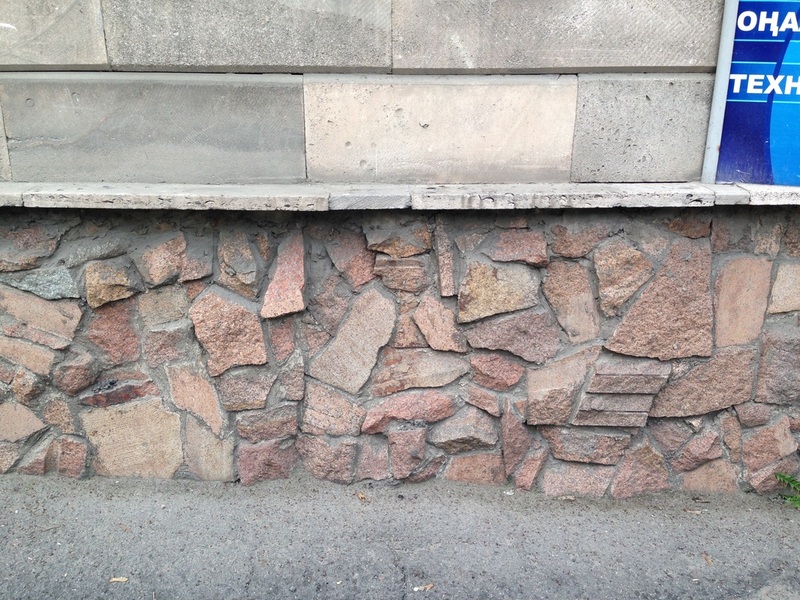 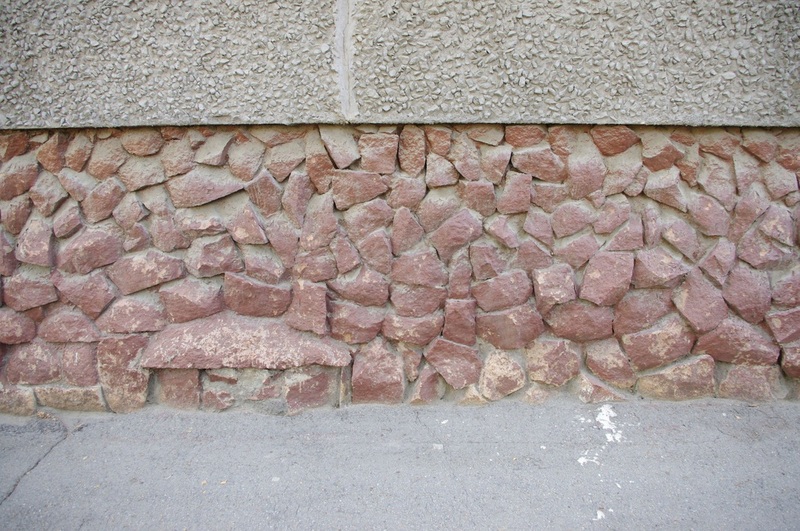 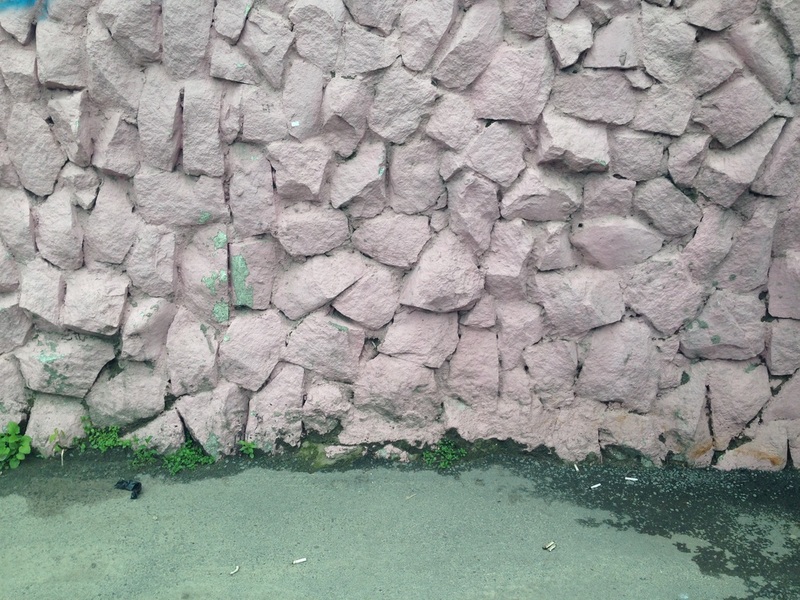 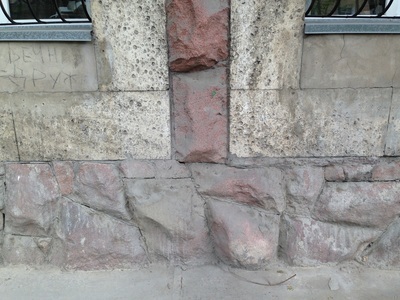 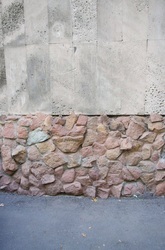 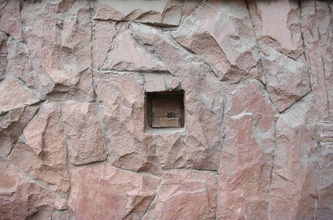 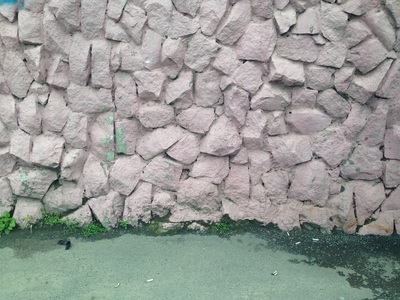 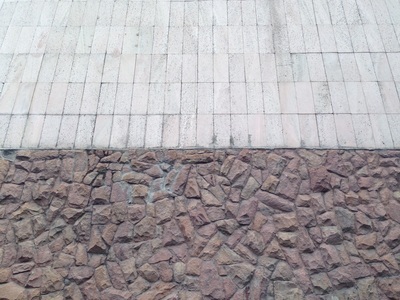 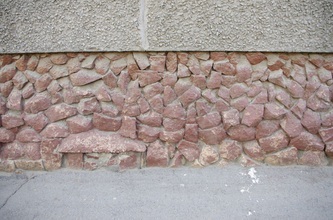 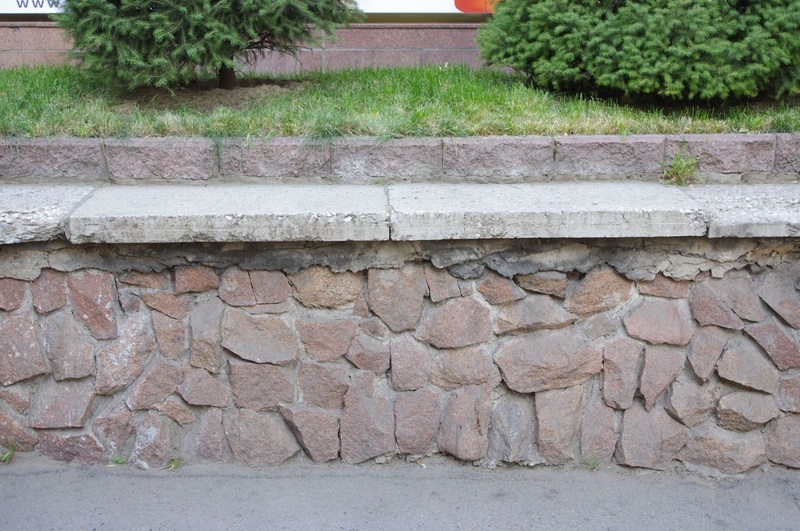 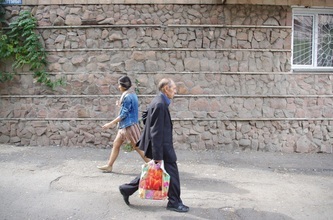 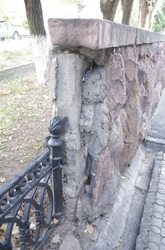 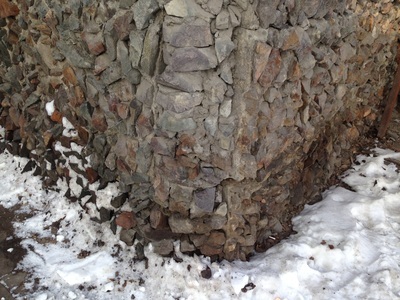 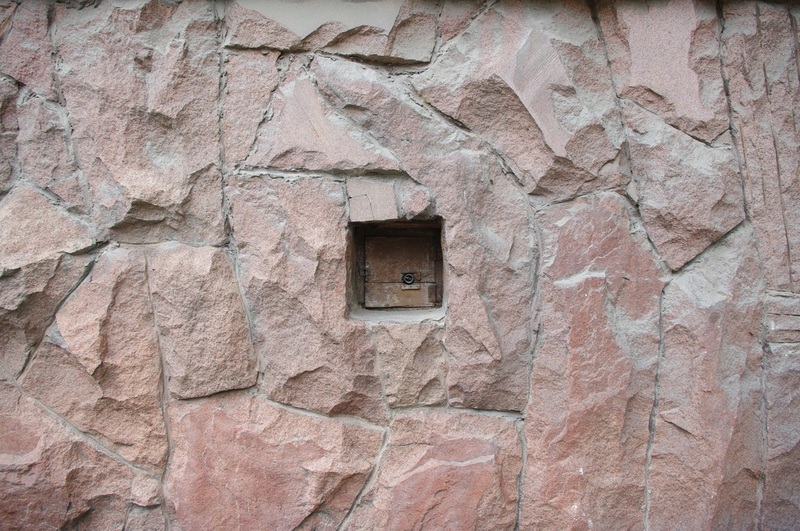 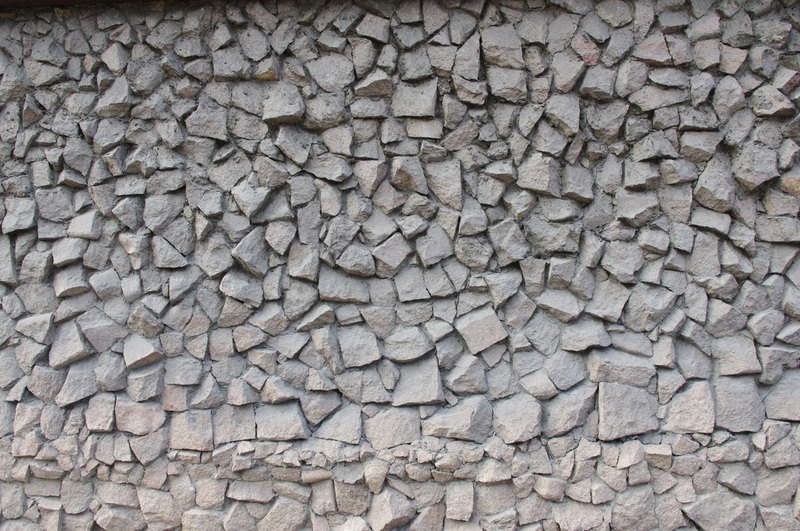 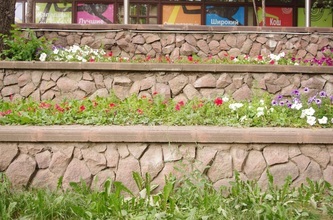 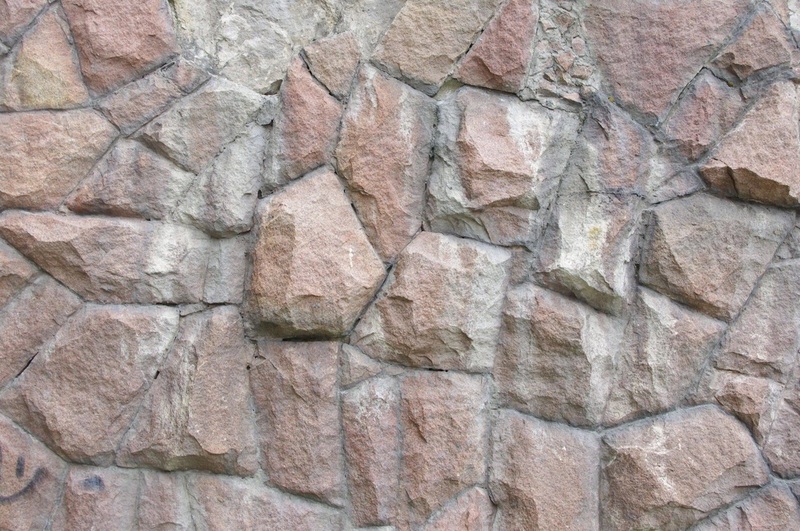 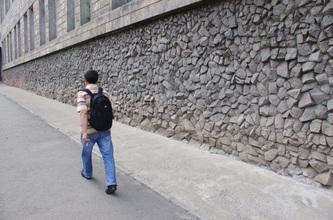 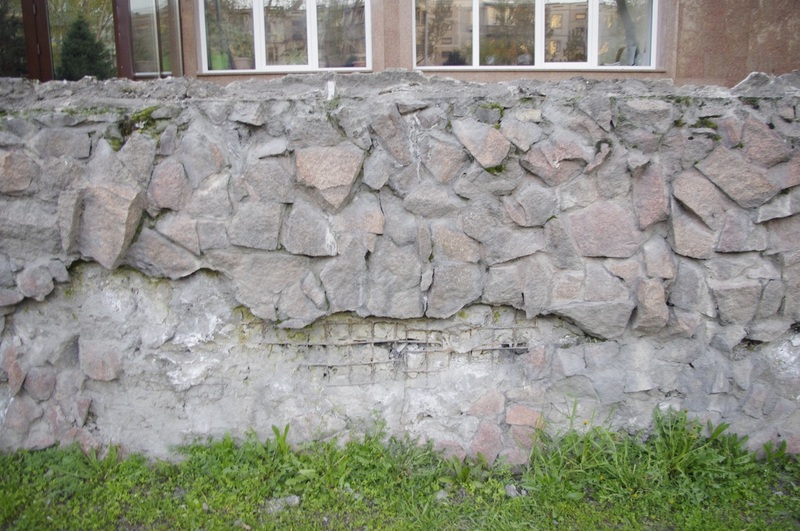 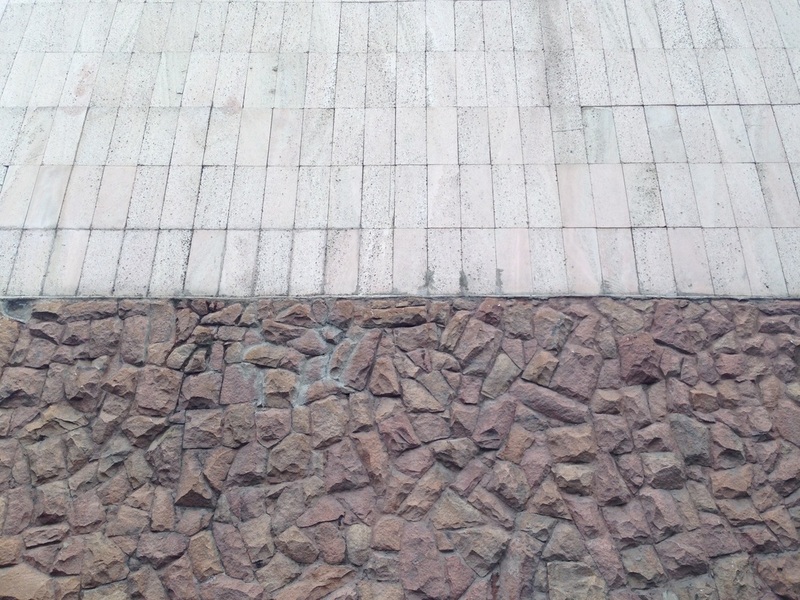 Called butovoy kladki [бутовой кладки], or "rubble masonry", this technique eschews the clean lines of most bricklaying, aiming instead for a natural, disordered feel, like the building has grown out of a riverbed. 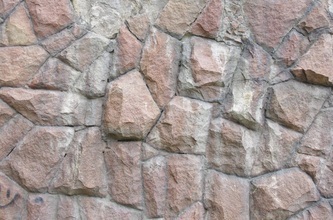 Sometimes, horizontal cuts have been made, but the outer surface of the rock always remains choppy and intimidating. 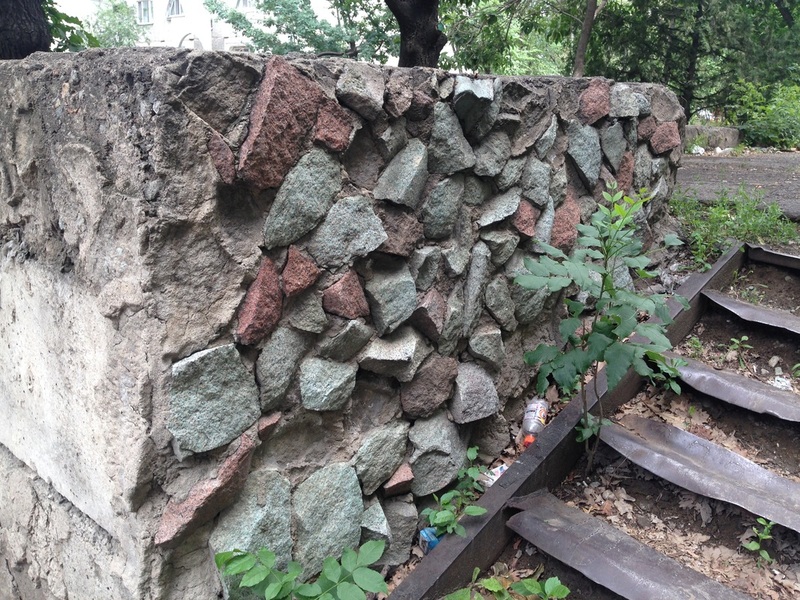 Kordai granite may never have been used in such quantities if it weren't for Almaty's notoriously sloped terrain. 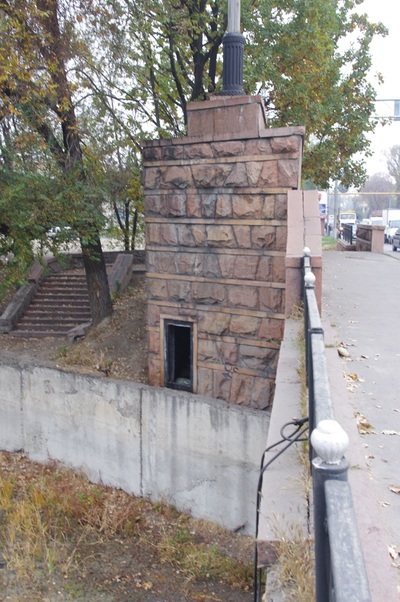 The angle of the streets means that retaining walls are everywhere, and when buildings were built into the slope, the part of the building lower down the hill, below the ground floor, would be decorated in a tsokol [цоколь], an ornamental strip at the bottom of the facade. 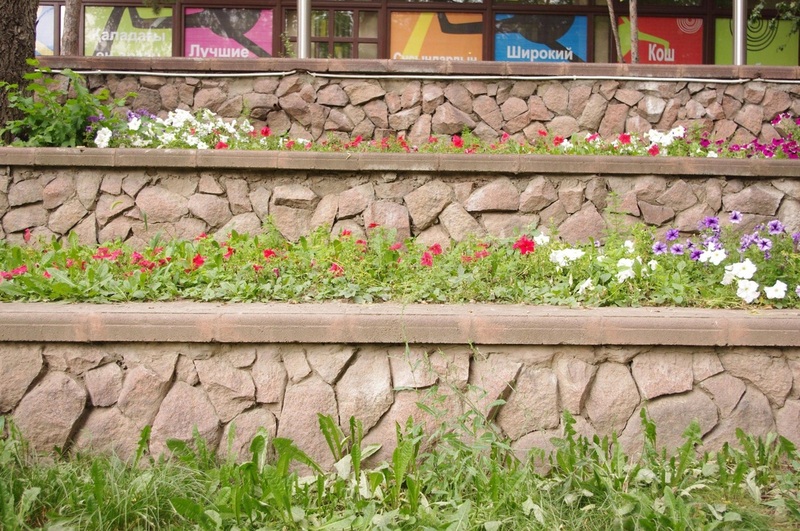 There was a need for a textured surface to cover these surfaces, and granite was a material that felt natural to Almaty's surroundings. 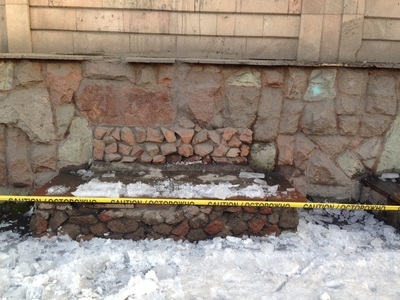 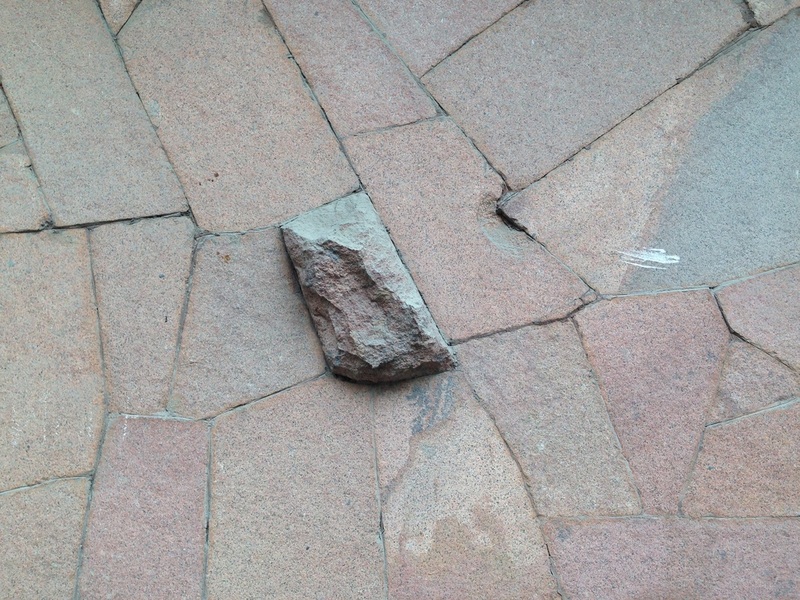 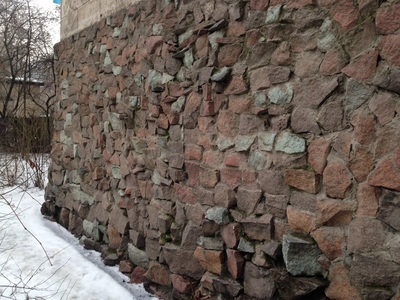 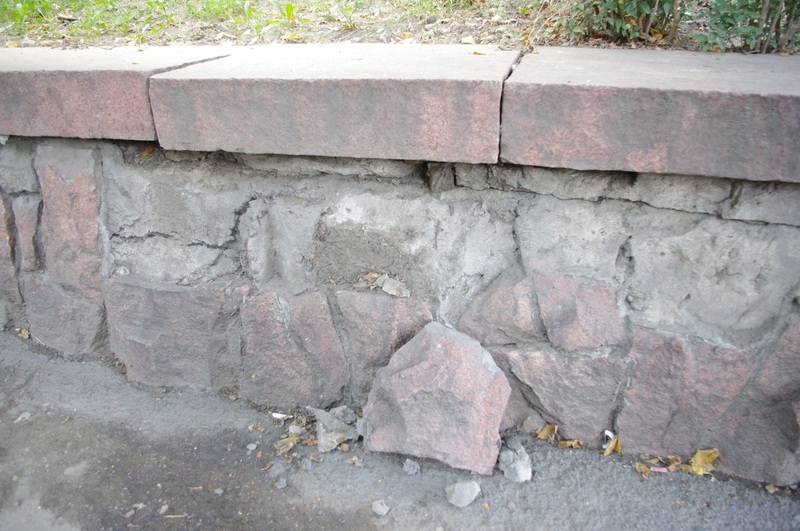 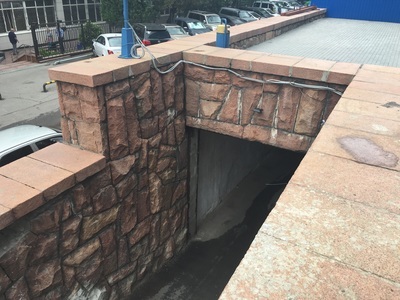 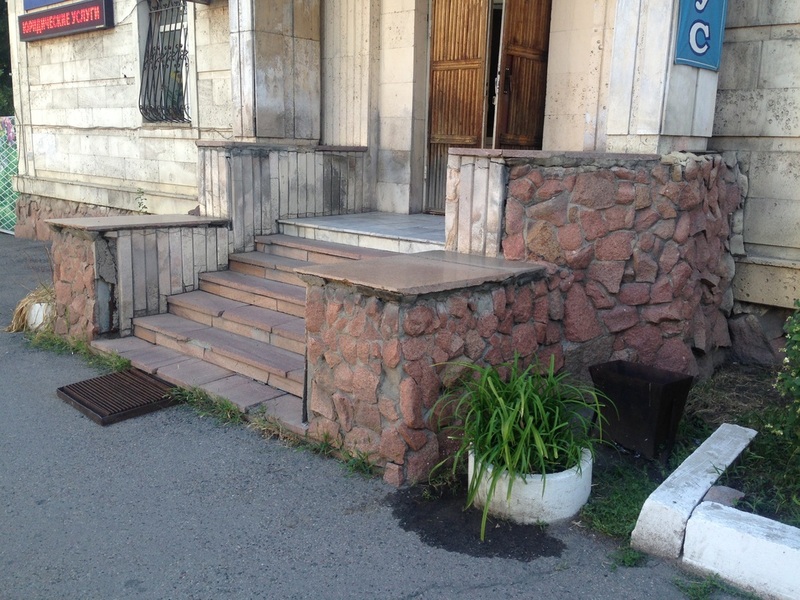 Now, much of Almaty's granite masonry is falling apart as the rebar and mortar that held everything together begin to crumble. 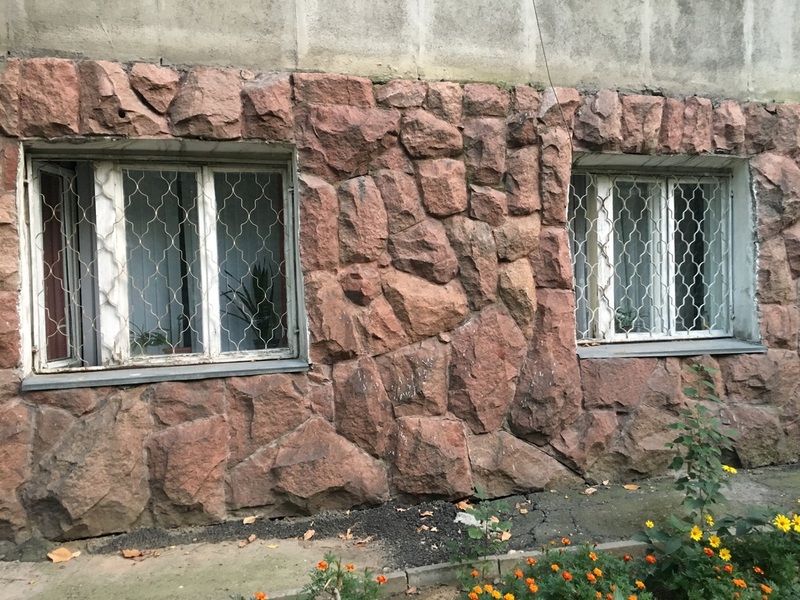 On the whole, though, it's fair to say that the earthy face of Almaty is preferable to a town entirely made of concrete, and if the disintegrating facades give a scrappy impression, well, that's the point.